I didn't use dynamat, and it is not in a box. It's on the original stock location plate. but if I ever get around to it, I will put a layer of dynamat. I just took out the Bose OEM and replaced it with an after market alpine Sub. I have also replaced the stock sub with an Alpine Type R. Some songs sound fantastic, while others give a bit of a rattle. It definitely doesn't sound as bad as some people make it sound like. It is worth trying out to see if the quality is up to your standards. I am considering putting a box together and making the comparison. any insulation or just straight up replaced the sub? My car did not have the bose upgrade - no sub previously. I got sub cover panel from a scrap yard along with spare compartments for the center console - I had been considering modding the change thing into an iphone holder, but then nixed the idea. Also got the other flip-drawer thing because why not? Even so, I do get some rattle. For the most part, it's not terrible, but it's not pleasant, either. It seems to be a resonance thing as it only happens at certain frequencies. So I can crank some songs with no rattle, while I get tons of rattle on others. Whenever the local radio station decides to play Katy Perry's "Dark Horse" I have to change the station - bzzzzzt bzzzzt bzzt. The rattling seems to come from the faceplate's contact with the frame. I happened to have some 1/8in thick rubbery double-stick tape (the fact it's double-stick is irrelevant, it's just what I happened to have.). I pulled off the faceplate (which requires removing a ton of plastic bits) and outlined it with that. Bolted it back on. Played with it, unbolted, added more thickness in a few areas, rebolted, etc. I got really sick of all those bolts lol. Bass quality is far superior to no sub, so it's worth doing if you're like me and didn't have the Bose upgrade. However it's definitely not earth shattering (in quality or volume). I can't speak for those who have the Bose system, but I can't imagine it's worth doing. If you're really into quality audio, don't bother. You'll just end up redoing it anyway. Last edited by ExaltedVanguard; 06-14-2014 at 05:52 PM. I used the stock sub location. 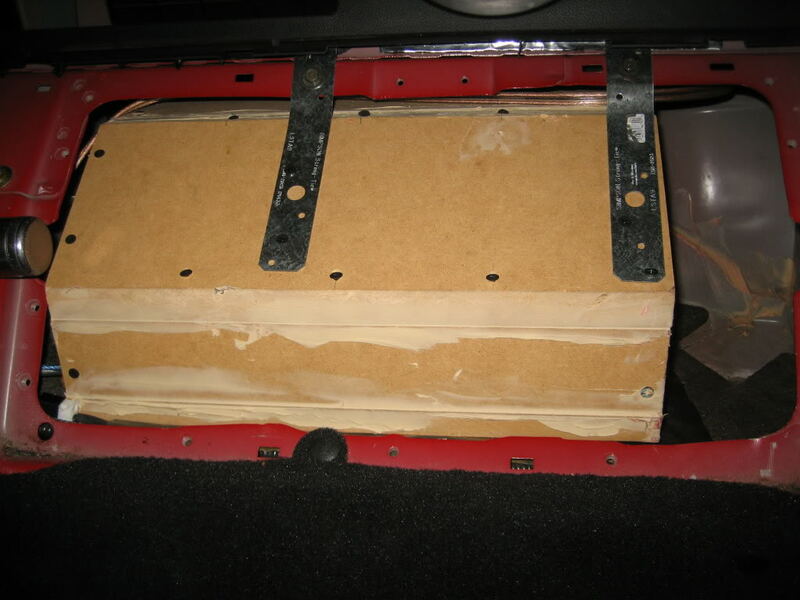 I bought and installed a fiberglass box with a down-firing Polk 10" MM sub bolted in from a member on here, but first insulated the entire sheet metal surface - inside and out - with some Dynamat I had (I had nearly the entire interior taken out, and also used reflective insulation on the entire floor of the car). Result is really great sound. I don't get rattles at all, unless I have my Sony HU & a/d/s plate amps cranked up to uncomfortable levels, and even then any vibration is so slight and sporadic as to not be distracting. I have the low bass that I wanted; really great fidelity from my Massive CK6v5s and MBQuart rear components (all 6.5"/custom mounted tweeter separates). Unless you want gut rattling bass, the OEM spot is ideal. Stealth sound and a more than sufficient punch. My solution was to take a prefab angled truck enclosure and modify it to fit. 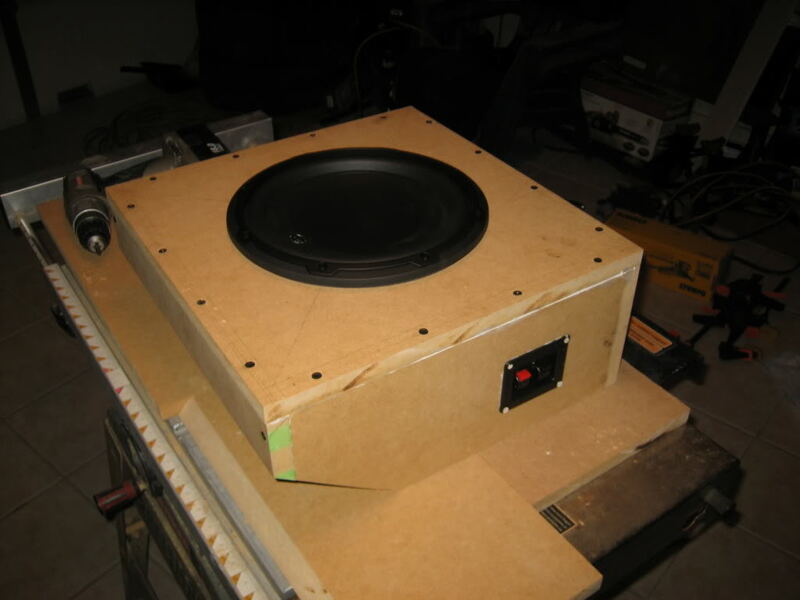 I used this one: http://www.sonicelectronix.com/item_...Enclosure.html dimensions are: 4-5/8"TD x 8-1/8"BD x 16-1/8"W x 13-1/2"H. Technically the box is a touch too big - so cut about 3" off the top and resealed, then covered the hole on the front (originally for a 10") and made a new hole for an 8" on the bottom (the 8 1/8 side). The whole since once sealed up was bolted to the stock metal sub bracket and I dropped an Infinity Reference 860W in there. Sounds pretty good with a Kicker IX 500.4 bridged to it (250 watts) but could use more power I think. This setups still rattles some of the plastic bits back there but only once I'm up to 3/4 on volume. FYI - if you look at the stock grill you'll notice it only has about 9" worth of air holes so an 8" is actually a better choice. 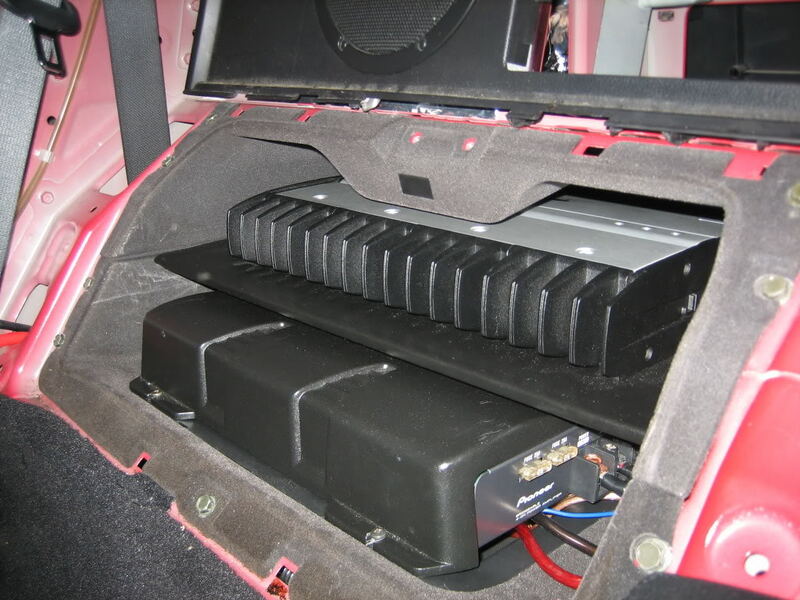 I tired the SRQ Customs sub box with a downfiring 12", even with lots of dynamat it rattled things like crazy... it sounded like tennis shoes in a clothes dryer since your basically just moving air in an odd shaped, thin metal box covered with plastic (clearly not ideal). Other the stealth and space saving you get another advantage by firing the sub thru the stock grill: free back massage ...can't get that with a under the strut or other hatch style woofer setup. I suspected the SRQ box would have those issues, which is why I built my own box several years ago. Doesn't make much sense to have the woofer making sound waves which have no way to exit the mounting area behind the seats. can you send me the dimensions of your box? I want to do one just like this. I know this in an old thread but I need help.